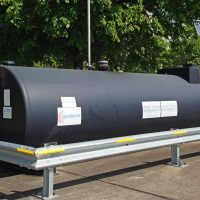 Bunded Fuel Tanks – Petroleum and Hazardous Fuel Storage. 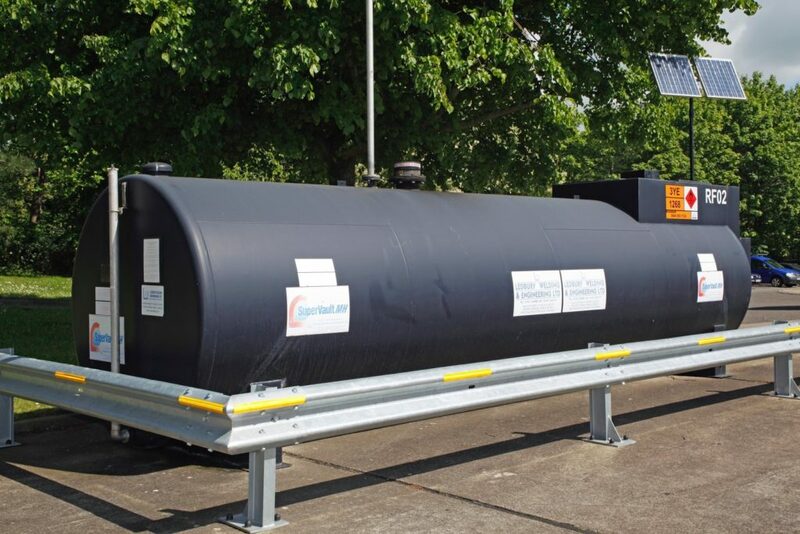 Home > Our range of petrol & diesel fuel storage tank solutions > Bunded Fuel Tanks – Petroleum and Hazardous Fuel Storage. 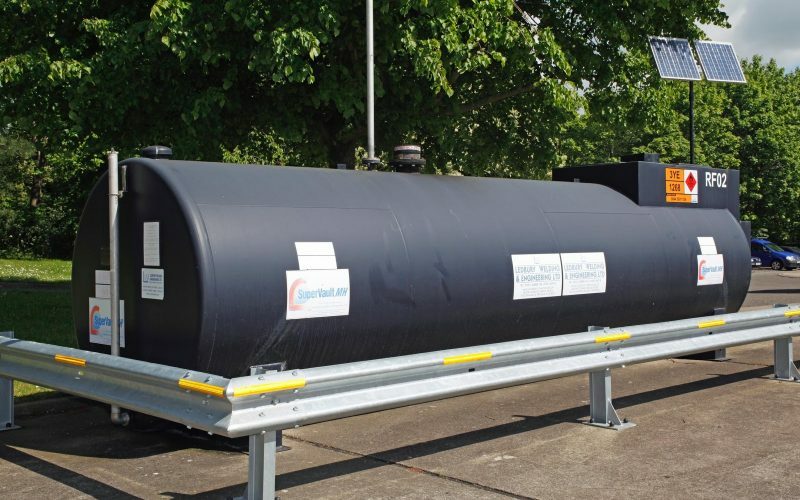 LWE has invested in the expertise and resources required for the design and manufacture of bunded fuel tanks suitable for the safe storage of highly flammable products. This capability includes the licensed application of the US ‘SuperVault’ tank construction technology. This method achieves true secondary containment with two concentric skins of steel separated by 150mm of insulating concrete forming an interstitial space which can then be monitored continuously. SuperVault is at the forefront of bunded fuel tank safety technology. The performance specification covers structural integrity, severe impact tests and a 4-hour fire exposure rating. The design eliminates the need for an external bund, thereby enabling a fully ventilated installation, ensuring the safety of users and service personnel. Capacities are available from 1,000 to 110,000 litres in single or multi-compartment configurations. Surface bunded fuel tanks are essential in environmentally sensitive areas such as estuaries, docks and floating pontoons. Skid mounted bunded fuel tanks are portable and offer greater flexibility than alternative underground storage methods. They are also easier to maintain and can be easily relocated as operational requirements change.